“Across the country in general, we’re getting a lot more proclamations about the end of homelessness, not just veterans homelessness but homelessness in general” said HUD Secretary Ben Carson in an interview with Military Times on Wednesday. Exactly how much progress won’t be known for a few more weeks, when federal officials release their annual point-in-time count statistics, the standard by which many advocates judge how effective their efforts to help destitute veterans have been. Estimates show the total number of veterans without stable housing increased by about 600 from 2016 to 2017. This year’s data will be particularly significant because the 2017 release showed the first increase in the number of homeless veterans in seven years. The estimate of 40,000 veterans was up less than 2 percent from the previous year’s figures, but still represented a disappointing setback for groups who had seen historic progress in the recent past. 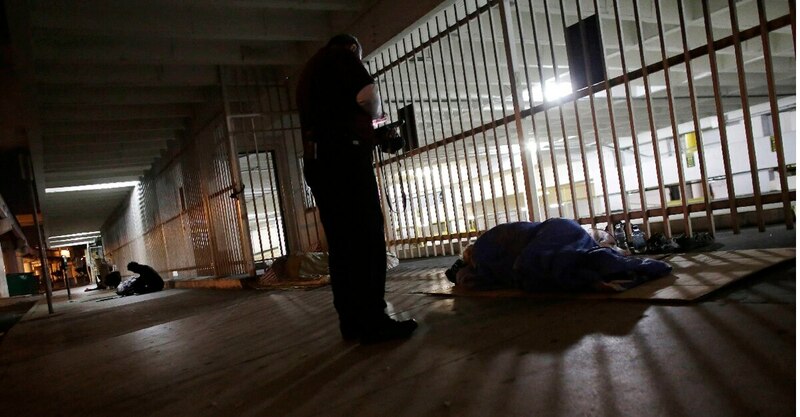 The 2018 homeless estimate (based largely on data collected in January and earlier) will also be the first to fully encompass the policies of President Donald Trump. Both Carson and VA Secretary Robert Wilkie said they are confident the administration is on the right track, refining existing assistance programs while expanding into even more community partnerships. “We still have to get our arms around how to get as many people into the system as possible,” Wilkie said in the interview. “But there are certain states — Delaware, Connecticut — where the governors will tell you they no longer have a veterans homeless problem. So that is the good news." On Wednesday, the two Cabinet officials toured the Washington, D.C., VA Community Resource and Referral Center, the type of facility both men say will be key in preventing homelessness and providing assistance to veterans taken off the streets. The center — one of 31 spread across the nation — is not a shelter but does provide mental health, benefits and occupational assistance as well as showers and laundry services for veterans in the area. The secretaries said partnerships between federal facilities like those centers and local charities create a network that can help veterans avoid living on the street. “You can track a lot of these problems to a lack of mental health care,” Wilkie said. “That is where I want to make our resources more robust … For our particular population, because of the unique nature of their lives and service, it’s absolutely vital we improve that. The two departments on Wednesday announced the latest round of HUD-VA Supportive Housing grants to 212 public housing agencies, expected to help house more than 4,000 veterans over the coming year. The department had planned to shift program funding into general use accounts, a move that worried veterans advocates. The program has been praised by both government officials and outside advocates as a critical tool in the effort to help those veterans by giving money directly to local charities. More than 93,000 vouchers have been awarded over the last decade, helping find permanent homes for 150,000 individuals. The secretaries also announced a $7.4 million boost to the Veterans Housing Rehabilitation and Modification Pilot Program launched earlier this year, which assist disabled veterans who need to make modifications to stay in their homes, thereby preventing them from ending up without reliable housing. Wilkie said boosting mental health and other support services will similarly stem problems before they arise. Carson said he is focused on finding ways to “incentivize (cities) to remove the barriers to building affordable housing,” and creating more options for low-income families.